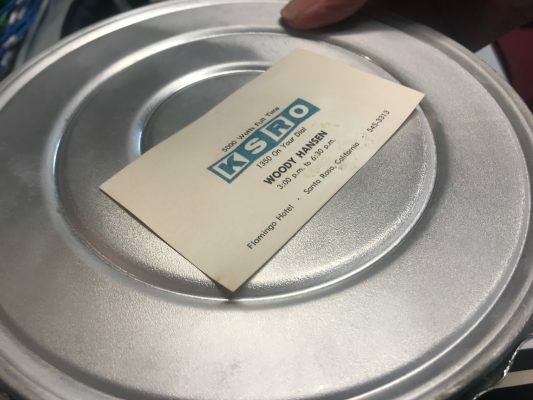 Found this past weekend in a Santa Rosa time capsule from 1968, the History Museum of Sonoma County managed to convert a KSRO broadcast from that year. It features a full news show hosted by Woody Hansen. A reception will be hosted by the History Museum this Saturday at 1 PM to open an exhibit on that Time Capsule.